Chances are, you don’t think much about your sofa cushions until they start to disappoint you. One day you glance over at your sofa and see that the seat cushions look like pancakes or your back cushions are full of lumps. The sad news: This can happen to even the highest quality cushions. That’s because most are made with a supportive core wrapped in a softer filling. These fillings compress and shift over time if you don’t take care of them. Now for the good part: You can keep yours looking like new with a little routine maintenance. As you use your sofa or chair, all seat cushions will compress to some degree. To make sure that the process occurs evenly, you’ll want to turn and flip the cushions and pillows occasionally (ideally weekly, but at least once a month). If possible, try to avoid always sitting in the exact same place. Chaise sectional cushions generally work in only one direction, making flipping problematic. If you can, flip it for a day or two and make a point to sit on it even if it looks odd. Another option: Place it on the ground and walk around on it to re-distribute the filling, then flip it over and do the same on the other side. If you have a deeper sofa, you may notice that your seat cushions start sloping slightly toward the front edge. This is because the filling gets compressed where you sit (and you aren’t sitting on the back edge). As there is a zipper along the back of the seat cushions, you can’t just rotate the pillows. Instead, unzip the cover and carefully remove the insert. (You may need an extra pair of hands to squeeze the insert and get it out without damaging the zipper.) Turn the insert so that the compressed edge is facing the zipper, replace it into the cover, align the welts or seams, and rezip. Soon your cushion will be evenly compressed. Sometimes the cover welts or seams start to look wavy and stop lining up with the cushion shape. To adjust this, unzip the cover, but don’t remove the cushion insert. With one hand, hold the top of the cover by the zipper. With the other hand, reach inside the cover to manipulate the insert. Pull or push the insert around so that you shift it into the correct position inside the cover. Once that’s done, take the fabric on the outside of the cushion and push it along the insert surface from one side to the other to finish straightening seams and welts. Rezip the cushion. Cushion fill will naturally settle and condense over time, so we recommend that you fluff your cushions at least every three months to help maintain their shape. To start, remove seat and back cushions from the sofa. Grab a cushions in one hand and place it on one of its edges on the floor. Hold it upright and away from your body and, with your other hand, hit the front and back of the cushion several times repeatedly. You can use a bare hand or fist or even a wooden spoon to do this. Bounce the cushion a few times on each of the four sides to reshape it. Repeat with all of the cushions. 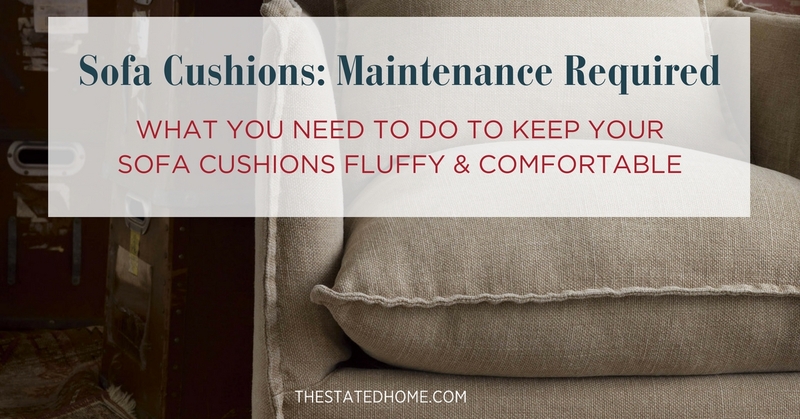 Cushions and pillows that contain feathers and down require more routine maintenance. Seat cushions: Follow the fluffing steps outlined above, turning each cushion and fluffing it until you’ve held all four sides. In addition, physically push the down into the center of the cushion by moving your hands from each edge of the cushion towards the middle. It may be easier if you unzip the cover and do this directly to the insert itself. Repeat these steps to the reverse side of the cushion, then move on to the next one. Back cushions: Beat the cushion with a wooden spoon or your hand/fist to de-clump the filling. Then unzip the cushion cover, reach inside, and push the filling around to fluff it up and to straighten seams and welts. Throw pillows: Hold the pillow in both hands on opposite edges and push towards the center to redistribute the filling. Rotate the pillow and continue squeezing and pushing. For larger throw pillows, you’ll need to place the pillow on a flat surface and knead it like dough. Feathers and down may occasionally work their way through the downproof ticking. This is normal and shows that the cushion is “breathing” properly. You should expect your cushions to hold up for eight to 10 years. If you find that your cushions have lost their shape over the years and you cannot fluff them back to life, you may be able to purchase new inserts. 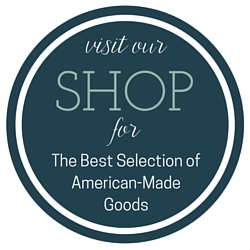 All of our furniture manufacturers provide the option to purchase new inserts for a sofa that are as good as new. Reach out to us if you are looking to breathe new life into old cushions.